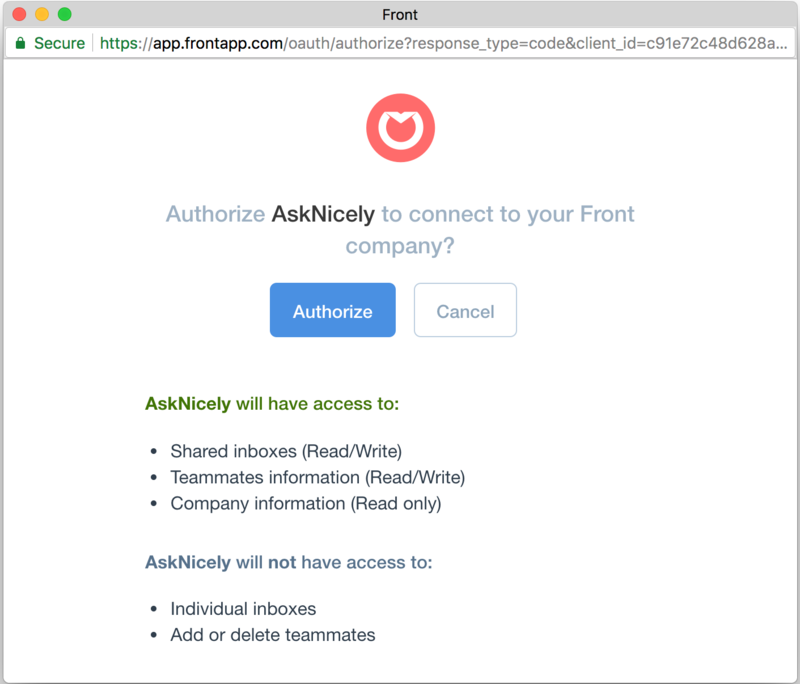 Integrating AskNicely and Front makes surfacing AskNicely NPS scores and feedback to your entire team simple. Use Workflows to set a destination for your AskNicely responses, and every score and piece of feedback will be saved there automatically. 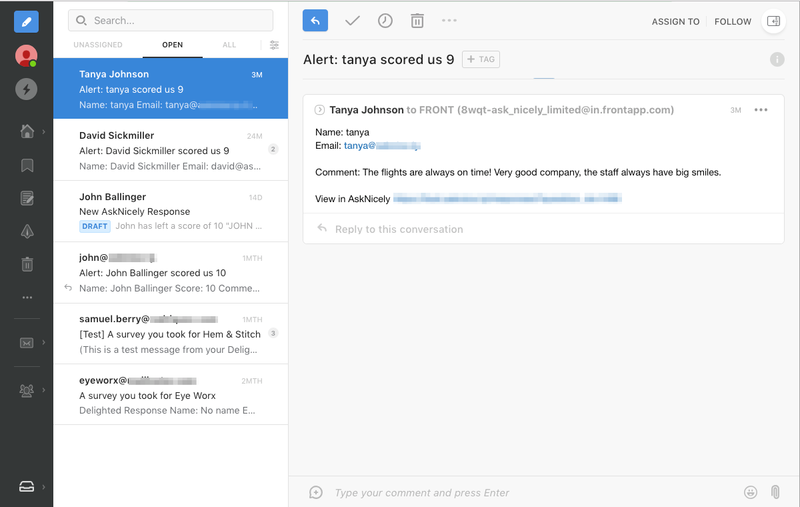 Scores and feedback from AskNicely will appear as new messages in your Front inbox, where your team can review, tag, and reply to them directly. Empower your team to take immediate action to drive retention, upgrades, reviews and referrals by integrating customer feedback into the tools they use every day. The first step when integrating AskNicely and Front is to connect your accounts together. Don't worry: when you connect your accounts, we won't send any action immediately - you'll have a chance to make sure everything is ready to go before sending your first survey. 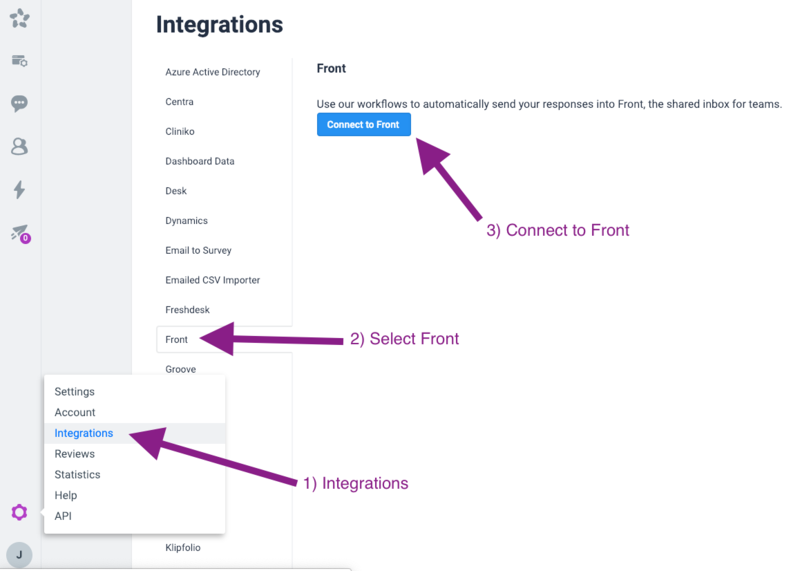 Make sure you're logged in to both your AskNicely and Front accounts, then hit the 'Connect to Front' button on the integration page. Continue to click through the prompts to connect your accounts. If everything went well, you'll end up back in AskNicely at your Front Integration configuration screen where you can choose the channel that NPS scores and feedback will be sent to. 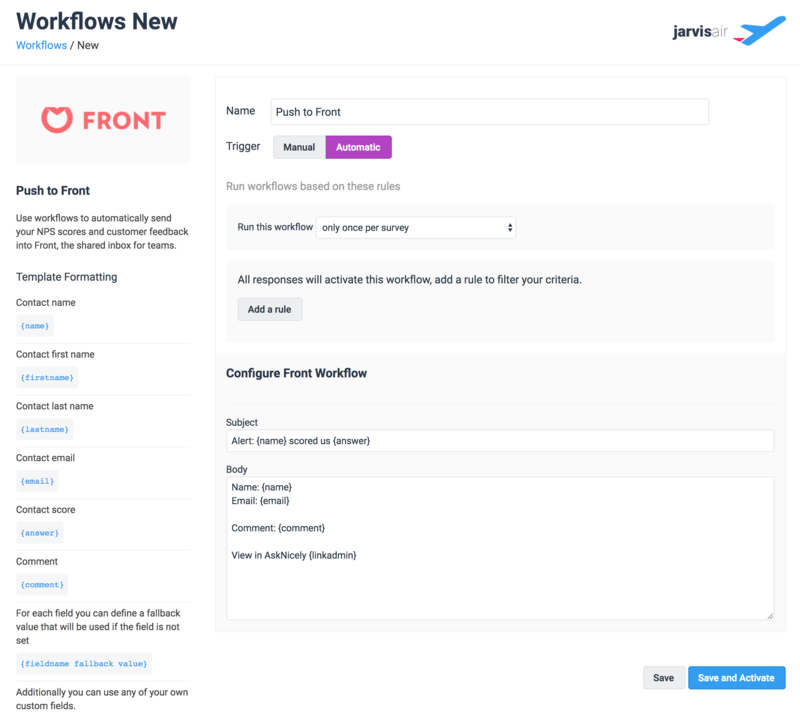 The next step is to create a Workflow that will push NPS scores and responses into Front. When a customer responds to your AskNicely survey, their score and any comment they leave are pushed back into Front. This allows you to see valuable feedback without leaving the Front application.